Hey there, Sony! What? Oh, don’t give me that face. Yes, I bashed you in my kinda sorta console wars article, but you’ve still got a great system! Hell, I’ve already invested over $150 in primarily PS1 classics! That’s something, innit? Ah, but of course, I have a problem with these that I feel a need to amend onto my previous statements AND a few suggestions to help you in the future. I was first introduced to the Tales series via Tales of Destiny for the PS1. Much like with the Star Ocean series, I never quite understood why we missed the original, but the series in general has always fascinated me. The best way to think about the Tales series is as though it’s Namco’s version of Final Fantasy…except that there’s quite a bit different and far more interesting about it. 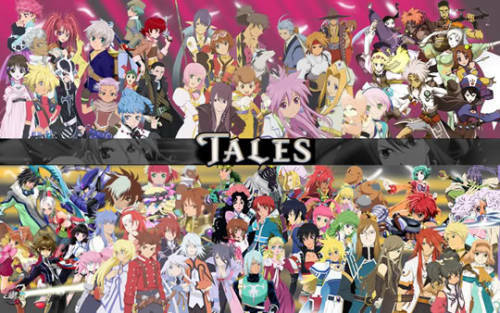 For starters, ever since its inception, the Tales games have NOT been turned based. Far from it as combat is full action with only minor delays in certain attacks which allows for combos and all kinds of special techniques to be cast at a moment’s notice. Effectively the series started as an action RPG that allows for side view combat and is very, very fun. Sadly, there are still a bunch of Tales games that have never surfaced in America…and some that are really terrible that have. All the same, let’s hit all of them, in order, just like I did with the Megami Tensei series.